Facebook today announced it will soon be rolling out a change to its News Feed that will increase the distribution of links to faster loading web pages – including those that use its own Instant Article format, it seems. The change will negatively impact Pages whose links load more slowly, the company also notes. The update to News Feed will roll out gradually in the months ahead, giving publishers time to make the necessary adjustments. Oddly, Facebook’s blog post makes no mention of Instant Articles, despite the obvious connection here between Facebook’s own speedier mobile web format and its desire to increase distribution of links pointing to faster websites. The Instant Article format was designed to make reading news stories via Facebook a better experience for mobile users. It does this by stripping out extraneous code that can bog mobile web pages down, while also placing restrictions on the number of ads they can display, among other things. The format hasn’t been universally adopted by publishers, many who feel that Instant Articles decrease their ability to generate revenue from their sites. Facebook has more recently begun to fix some of the problems publishers had been complaining about, however. It began to let Instant Article publishers show more ads, for example; it restored subscription options; it rolled out Page Like and email sign-up buttons; and it will begin tests of a paid subscription paywall feature in the fall. It even tried to make adoption of Facebook’s format easier, by adding support for Google AMP and Apple News format as part of its Instant Articles software development kit. Despite the fact that Facebook doesn’t directly state that Instant Articles are about to get a big boost from this News Feed change, it’s pretty clear that will be the case. It won’t necessarily rank Instant Articles any higher than other fast-loading sites, but it certainly means those publishers using Facebook’s mobile web format won’t have to worry that they’ll soon lose clicks. “We are not making this update to prioritize Instant Articles,”a Facebook spokesperson told TechCrunch. “We are making this update in response to what people have told us. We know that faster loading webpages are a better experience for people, both on Facebook and across the internet,” they said. 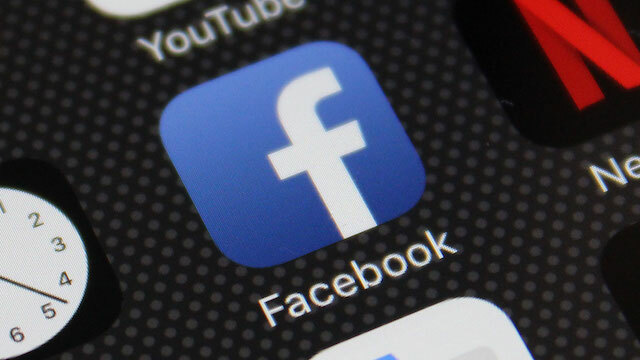 According to Facebook’s announcement, the company will take into account the estimated load time of a webpage when someone clicks a link in the News Feed on the Facebook mobile app. It will also consider other factors, like the user’s current network connection speed along with the general speed of the web page in question. If the link loads more quickly, then Facebook will make sure the link gets a higher position in your News Feed. When the updated News Feed algorithm is rolled out, Facebook warns that web pages that are “particularly slow” will likely see decreases in traffic. It did not, however, say how slow is too slow, pointing instead to a page detailing the best practices for improving mobile sites load time. The company notes this is only one of many changes it has made to News Feed over the years to make things snappier for end users. For instance, in the past it changed the News Feed to display fewer videos when a user’s network connection speeds was slow. It also began to prefetch stories by downloading mobile content before links were clicked, when it identifying slower connection speeds. Slower loading web pages, of course, are frustrating for end users. As Facebook points out, on the broader web, as many as 40 percent of website visitors abandon a site if there’s a three-second delay. But it’s a bit disingenuous to announce such a change to promote fast-loading sites without even a mention of Instant Articles.